Two nights ago I was actually in pain in my stomach through what I can only describe as anxiety. I genuinely was feeling tired & drained, understanding why in my previous blog here, but still couldn’t get it to leave. My thoughts were also and my head pounding with a headache. I was still in pain yesterday morning as I woke up & didn’t want to leave my comfy safe bed, I know I needed to time to relax as it was day 11 in a row without a busy schedule ahead, & I was missing my 3 day long weekend to recover. 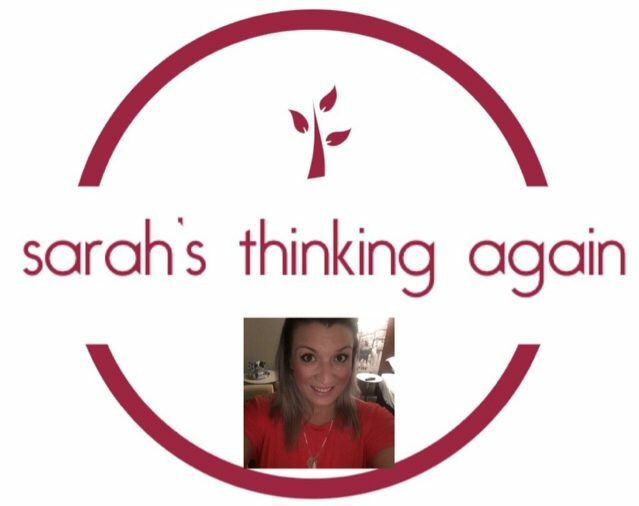 The old Sarah would be fine, because she would rarely think about about her behaviour in the here & now, but would worry to the point of illness the following day. She’d be the life & soul, taking over the whole day, whichever group she was in. She’d lead with jokes, talk too much & too loudly & share things that should be saved for the closest of friends. I can’t say that I didn’t do some of this some of the time, but I consciously made an effort to keep myself and volume in check. And I didn’t find it draining, because today I woke up feeling so much better for it. And I slept. I slept so well without going over & analysing every single conversation (although I’m still laughing at some of the hilarious ones). Days like yesterday, team building days, terrify & excite me. Yesterday was brilliant. But yesterday I had an incredible day with an incredible team. What’s amazing about working where I do, is I love everyone. So many people took time during the day to thank me for something or compliment me, or in the same vain take the mickey, but with just as much endearment meant (I think). And this isn’t because I have a personality disorder or anxiety, it’s because these are the amazing people I work with! They work together & are everyone else’s biggest supporters. Today I’m tired & drained, but I’m not anxious. I could easily take a duvet day, but it’s my last day working with my friend Radhika & we’re off out for lunch (nothing will stop my love of food). Today will also mark 2 weeks of non- disrupted work patterns & however important that is, I’m looking forward to it being a month, 2 months & then something me or my managers don’t have to consider, because apart from the odd anxious day I’m living a healthier life both physically & mentally. I know this takes time. It has been less than 6 months since my diagnosis, and so much has happened & changed & im sure will continue to, but I am learning & changing every day. I’m growing in confidence & maybe even starting to like the real me. The me that knows my health & family come first, that won’t accept 2nd best & that is prepared to fight for the treatment, healthcare & rights I believe everyone should have! Next postLiving with Generalised Anxiety Disorder means everything can be a trigger!